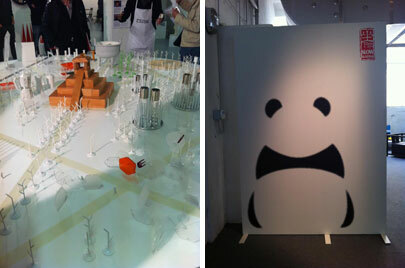 Home›School Centers›Milan›Salone del Mobile, an amazing International Furniture Fair. From Tuesday 17 to Sunday 22 April 2012, also this year Milan hosted the biggest and world’s number one Furnite Fair, the Salone del Mobile. 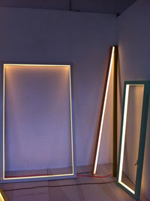 The Salone, open to the general public on Saturday 21 and Sunday 22 April, was held at Milan Fairgrounds, Rho (Milan). 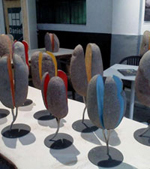 It represents the State of the Art of Furniture Design, with exhibitors form almost 40 different Countries. The Salone was born in 1961, in order to promote Italian furniture and furnishing accessories on the export market, and has become a milestone for sector experts, designers, company and all those who are interested in all the new furniture trends. Fuorisalone, Milano Design Week… The event in the event. Fuorisalone groups a series of Industrial and Furniture Design and Culture activities in different locations spread out in several Milan’s neighbourhoods, in particular the areas around Brera, via Tortona, via Savona and Via Stendhal, Porta Romana and Ventura-Lambrate. During Fuorisalone, Design Schools, Ateliers and Design Studios organize a whole range of Furniture and Design related daytime and night events, such as exhibitions, workshops, installations, vernissages, aperitifs, theme-tours, attracting an ever-growing number of Italian and international visitors with an eye on Design and new trends. Of course, students from Scuola Leonardo da Vinci Milano could not miss this chance to take part in the biggest Industrial Design event in the world, and organized interesting excursions/incursions to Milan’s Salone and Fuorisalone. Angela (Taiwan): 這一次舉辦Salone 很有現代自動化結合時尚流行，非常有趣！Questa volta il Salone e il Fuorisalone sono molto interessanti, con installazioni di moderna automazione e anche la moda, tutto insieme. Questa idea è molto intelligente ! Mi è piaciuto ! Mina (Corea): 밀라노 디자인위크가 드디어 시작되었다. 동네를 한바퀴 돌고나서 느끼는 소감은 단 하나, 밀라노는 역시 천국이었구나라는 것. 온갖 예쁜 것들이 시장처럼 널려져있고 어디서나 누구에게나 대접해 주는 이 이상한 세상. 근데 또 내일이면 이 천국이 지옥처럼 변할지도 모르지만. Finalmente Milano Design Week è venuto. In zona Tortona, c'erano tutte le cose belle nel mondo. Oggi io ero felice in paradiso! !